Where does an exhausted, partied-out, newly published author go to repair from the rigors of a champagne-soaked event at world-class restaurant put on by the Chef of the Century? Why, to a cozy little corner table at Eating Las Vegas Top 10 standout Bartolotta Ristorante di Mare, of course, where he can be feted with cannellini beans studded with bottarga shavings, amberjack napped in anchovy sauce, oven-baked langoustines, shrimp-filled ravioli, hand-rolled, thick spaghetti coated with a deceptively rich, Tuscan meat sauce, butter-poached wild turbot showered with white truffles, and a sinfonia di dolci (aka a symphony/blizzard of desserts). In other words…it was just another day at the office for ELV. 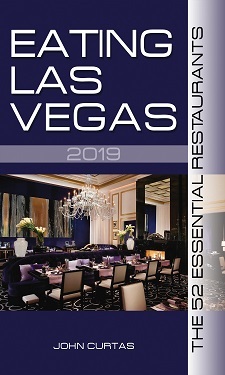 My favorite restaurant in Vegas. I try to eat here at least twice a month.